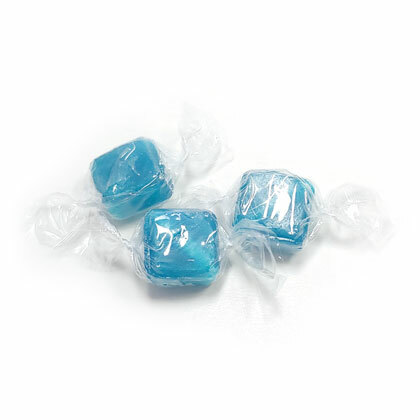 Ice blue square shaped peppermint candies in a cool blue color. Made with natural peppermint oil. Individually wrapped. Approx. 4 pieces per ounce. 12 oz. Individually wrapped.